There is a rise of cancer in Africa, it is no longer just a 'western disease'. Cancer is now becoming an unwelcome reality in African life possibly due to the recent changes in diet and environment, and increase in stress factors. 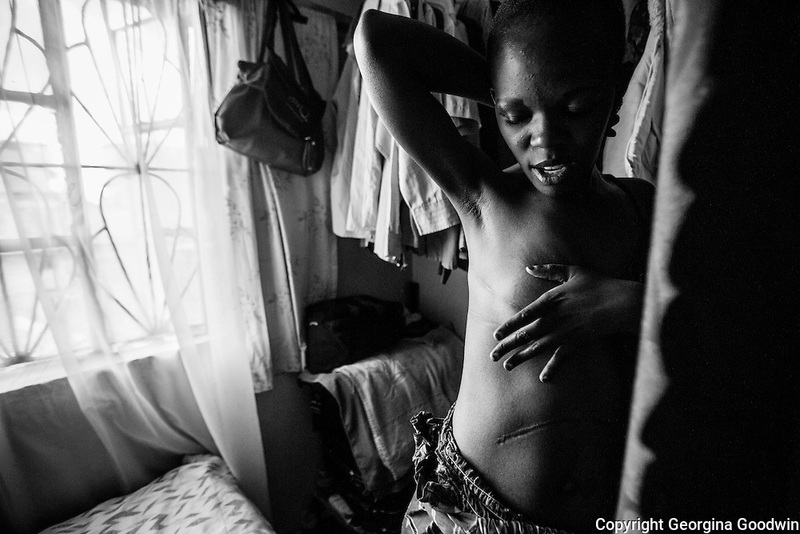 27-year-old Monica Buluma was diagnosed with cancer of the oesophagus in 2010. After four years of chemotherapy, radiotherapy and deep surgery, difficulties in eating and swallowing, 15kg weight loss, Monica came through and became a cancer survivor. The funds for treatments such as these are well out of the reach for the majority of Kenyans, but a few like Monica are lucky in receiving financial support from the Faraja Cancer Support Trust, a charitable trust founded in 2010 with the mission to improve the quality of life for cancer patients and their families by providing information, emotional and practical support, counseling, and complimentary therapies to cancer patients and their carers. Monica monitors her health daily and continues to regain her strength slowly.